A good email newsletter usually consists of a catchy subject line, educational content that is pertinent to your target demographic, one strong and relevant call to action when appropriate, and a powerful image. Use our chart to compare features of the best services. An email newsletter is one of the most common email marketing deliverables. 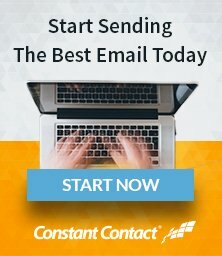 It’s a recurring email to list subscribers that helps businesses develop unique relationships with customers and increase sales. Keep in mind that, while these are the best practices, the style of your newsletter should be determined by your brand and your audience. Listen to their feedback to determine your newsletter’s content, and break the rules if you have to. When reviewing email marketing services, we make sure to evaluate the ease of use and effectiveness of their email newsletter creation tools. We take a close look at drag-and-drop editors, the types of templates available, whether templates are mobile-responsive, the advice offered and the competency of a company’s support staff when developing our ratings. This thorough analysis ensures you’re getting a complete and transparent review of each email marketing service listed. Email newsletters are the crux of most email marketing strategies. Email remains a powerful marketing channel for driving sales, and the quality of your newsletters can make or break your email marketing efforts. It’s easy to send any old email, but sending an email newsletter that consistently entertains your audience with appropriate timing and context can take time and should be approached with care. Research your audience and figure out what type of email newsletter is best suited for them. Perhaps it’s based around the charity your organization does, or maybe your newsletter includes tips for growing their business. Test what content works for you by listening to the data. Once you find the right message and topic theme, your email newsletter can become a fantastic tool for driving conversions. Campaign Monitor reported that for every dollar spent in email marketing, $44 in ROI is realized. That statistic alone should convince you to begin researching your email newsletter content strategy. Every single email marketing service we research is evaluated on how easy it is to create an effective email marketing newsletter. We take a close look at the out-of-the-box design quality of each service’s newsletter templates, whether they work well on mobile devices, how easy it is to edit them with a drag-and-drop editor, whether you can edit in HTML/CSS, and how easy it is to test newsletter variables. Email Marketing Services Reviews: Our editorial staff takes a close look at the best and most popular email marketing services. Every review is based on personal experience by our experts, who outline the pros and cons of each email marketing service. Customer Reviews: Real reviews by real customers. Who better than the users themselves to evaluate a service? Informational Articles: For anyone new to email newsletters and email marketing campaigns, these articles are here to help you get started. Marketing professionals have taken the time to gather a variety of insights into one place, and you’ll find plenty of actionable advice to use in your own email marketing efforts. Feature Comparison: We put all of the major email marketing services head-to-head in a chart comparison. This is an easy way to compare the best email marketing services on the market. Take a look at these lists, reviews, comparisons and articles to explore and expand your knowledge base. We do our best to provide you with the valuable information you need to avoid hours of consumer research and frustration. Make sure to check back often for updates!